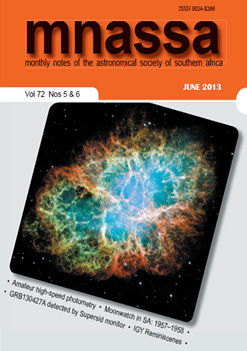 The South African Astronomical Observatory (SAAO) is a national facility for optical and infrared astronomy and forms part of the National Research Foundation (NRF). The SAAO headquarters in Observatory, Cape Town, is open for night-time visits on the second Saturday of each month at 20:00. A gift shop sells books, posters, T-shirts etc. on these open nights. Day tours for large groups are conducted by prior arrangement only (tel: 021 460-0025). Although there is no charge for these visits, donations are welcome. The Southern African Large Telescope (SALT) situated at Sutherland [ View in Google Maps ] started observations in 2005. It is the largest single optical telescope in the southern hemisphere, with a 10 x 11 m hexagonal segmented primary mirror, and has an area equal to the largest in the world, namely the Keck I & II telescopes on Mauna Kea, Hawaii. 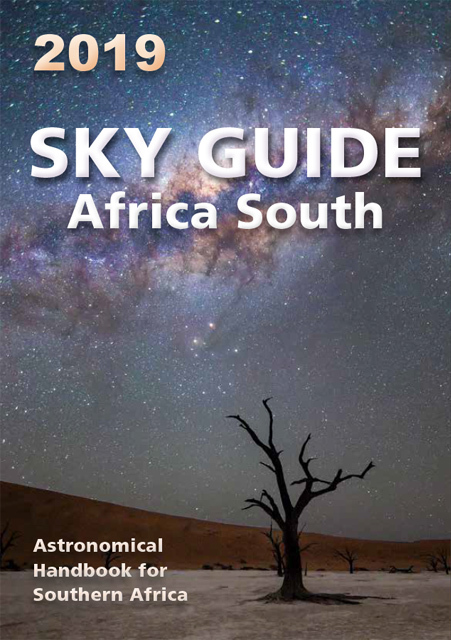 Day and night visits to the SAAO observing site near Sutherland need to be booked well in advance (023 571-2436 o/h, Monday to Friday). Day tours, limited to 20 visitors, and costing R 30 per person, are conducted Mondays to Fridays at 10:30 and 14:30, and Saturdays at 11:30 and 14:30. Night tours are conducted on Mondays, Wednesdays, Fridays and Saturdays, and cost R 50 per person. In addition, hourly tours are conducted on public holidays and Sundays [ suthbookings saao.ac.za ]. [ meintjpj.sci ufs.ac.za ] or Prof M J H Hoffman (051 401-2924) [ HoffmaMJ.SCI ufs.ac.za ]. Hartebeesthoek Radio Astronomy Observatory (HartRAO), 30 km north-west of Krugersdorp, is a national research facility for radio astronomy managed by the NRF. The Director is Dr Michael Gaylard. The 26-m telescope operates at 18, 13, 6, 5.0, 3.6, 2.5 and 1.3-cm wavelengths and is used for observations of interstellar and circumstellar molecules, pulsars, quasars and active galaxies. The 15-m-diameter radio telescope antenna prototype for the Karoo Array Telescope (XDM, the eXperimental Development Model) constructed at Hartebeesthoek in 2007 has been converted for operational use with 13 and 3.6-cm receivers. The 7.6-m antenna is being used to test the C-BASS (C-Band All Sky Survey) receiver; when operational, the receiver will be moved to its sister antenna near Carnarvon in the Northern Cape. The Observatory provides research facilities for local and international astronomers and participates in global networks of radio telescopes using the Very Long Baseline Interferometry (VLBI) technique. This has two purposes: high-angular resolution imaging for astronomical purposes and high-precision position determination for geodetic purposes. The Space Geodesy programme also operates a Satellite Laser Ranger for precise measurement of satellite orbits and a network of Global Navigation Satellite System (e.g. GPS, GLONASS) base stations for geodetic research. Tours of the Observatory are held once a month on a Saturday from 16:00 to 20:00. It is essential to book for all visits (012 301-3100 office hours) [ aware hartrao.ac.za ]. The Karoo Array Telescope (KAT-7), MeerKAT and the Square Kilometre Array (SKA) are three radio telescope projects currently being developed. KAT-7, located at Klerefontein, 11 km outside Carnarvon in the Northern Cape, is already operational and is the world’s first radio telescope made of composite materials. MeerKAT, currently under construction, will consist of 64 antennas and will be part of the Phase 1 dish array of the SKA. When commissioned in 2014, MeerKAT will be a premier instrument in its own right. When completed in 2024, the SKA will be the world’s biggest radio telescope, consisting of thousands of antennas spread out over 3 000 km. At least 13 countries are already involved in its development. About 70% of the SKA will be built in South Africa. The SKA will be made up of three different kinds of receiving technologies: a mid-frequency array of about 3 000 steerable 15-m-diameter dishes, a dense aperture array of 250 60-m mid-frequency dishes, and a sparse aperture array consisting of thousands of low-frequency fixed-orientation dipole antennas. The sparse aperture array will be built in Western Australia. Contact: Kim de Boer [ kdeboer ska.ac.za ]. The HESS Gamma-Ray Telescopes are located in the Khomas Highland of Namibia, about 100 km south-west of Windhoek. HESS is an array of four gamma-ray telescopes, each with a 12-m hexagonal segmented mirror. Each telescope is equipped with an advanced electronic camera with 960 high-speed detectors, designed to detect the weak flashes of light emitted by high-energy gamma rays in the Earth’s atmosphere to an accuracy of 0.1°. These can detect gamma ray sources with intensities a few thousandths of the flux of the Crab Nebula.The first telescope became operational in 2002 and since January 2004 the four-telescope array has been in regular operation. On 2012 July 26 the HESS II telescope, with a 28-m mirror, came online, making it the largest Cherenkov telescope ever built. HESS is operated by an international collaboration of institutes from Germany, France, UK, Ireland, Czech Republic, Armenia, Namibia and South Africa (North West University). Access to the site is restricted and tours are by arrangement only.